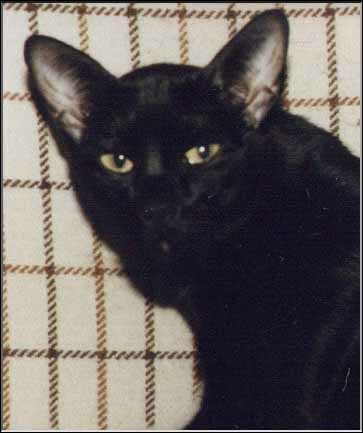 She knew deep inside that oriental shorthaired was very posh cats, and she always made sure noone forgot for a second..
At the same time, she was the one that put the CAT in "Curiosity killed the cat". No matter what you were doing, you could be sure to have her little nose poking in it. 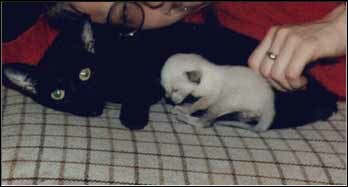 Then at the age of 3 1/2 we decided it was now or never if she was to give birth to some kittens. 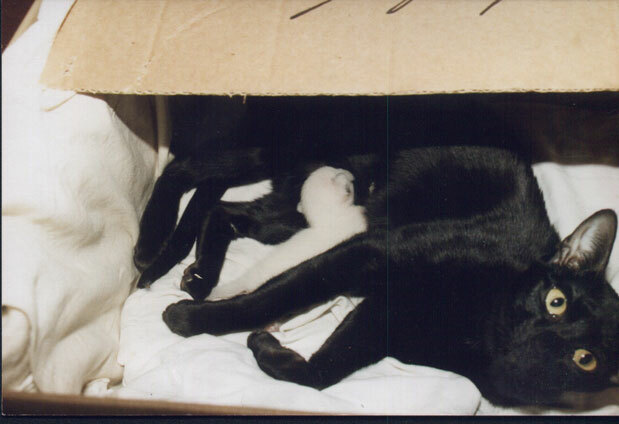 She had 2 kittens, but unfortunately one of them was stillborn. 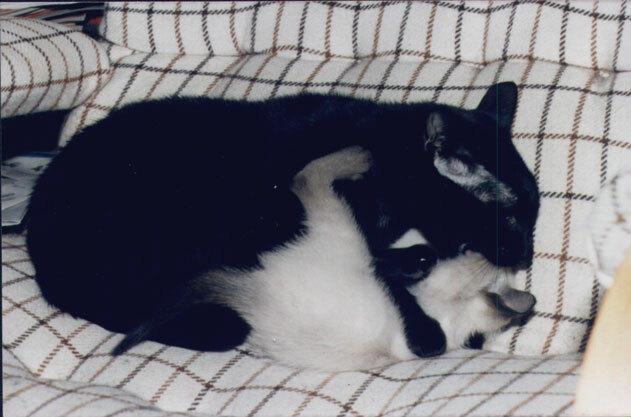 The one alive was Bøv, our siamese. The birth itself and the time after was something of an ordeal. Ylle absolutely didn't know what to do with that little furry thing we had planted beside her. 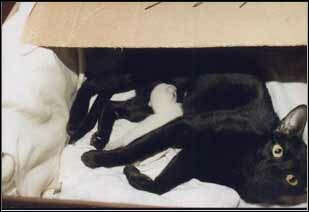 Therefore we had to spend the first 3 weeks of Bøv's life right beside the nursery box. If she lost sight of us she promptly left the kitten to search for us! 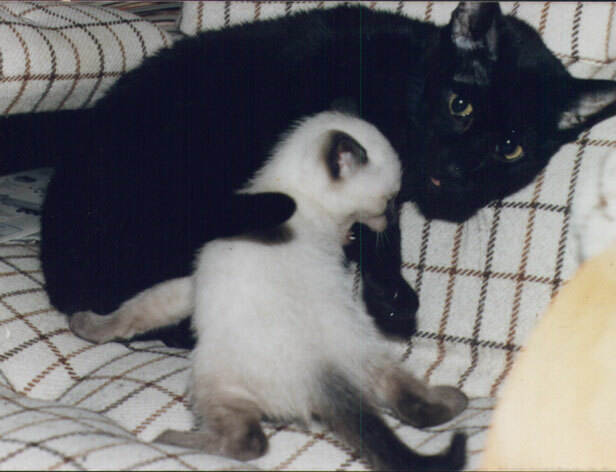 Unfortunately it turned out that the birth had made Ylle sick. 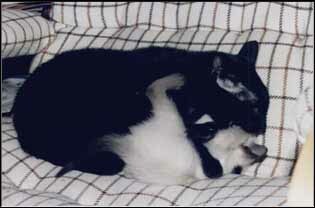 Se developed asthma and had a far too short life after the birth of Bøv.